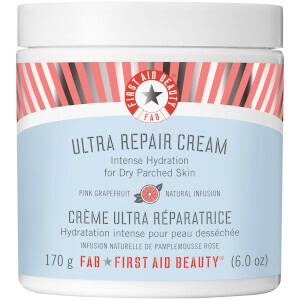 Perfect for those exposed to harsh weather or living with severely dry skin, the First Aid Beauty Ultra Repair Cream delivers an unrivalled hydrating experience, helping to alleviate and visibly improve dry and scaly skin. Thick, rich and non-greasy, the emollient formula soothes agitated skin by penetrating deep down and immediately relieving distressed skin. Fortified with shea butter, colloidal oatmeal and soothing eucalyptus oil, the cream with added antioxidant booster and ceramides improves the natural barrier function of skin whilst helping to relieve irritation and itching caused by eczema. 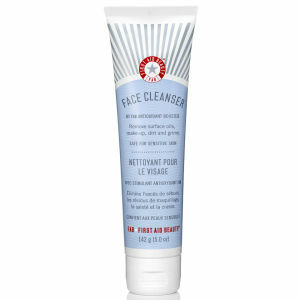 Defends from free radical damage and is suitable to use all over the body and face. - K.N. It really amazing! I think it's really a good cream to seasonal transition，and it can relieve allergic symptoms. The only disadvantage is not moisturizing enough for winter. I'm so glad that I bought this. I did it because of the good reviews and here is another one. 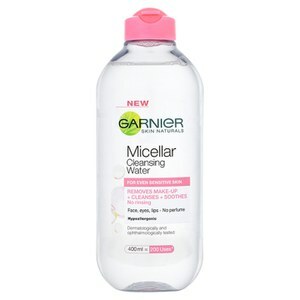 This product is amazing, it moisturizers like no other and leaves no greasy residue what so ever. It has cured the persisting dryness on my legs and face! I definitely see myself buying a big tub of this in the future! 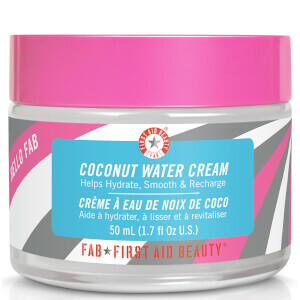 The cream is moisturizing, it's like a thick but non greasy cream. It has a slightly odd smell but gets my skin feeling hydrated. So I would totally recommend this product! It's cheap, but moist. Like it. It's my first time using this brand, I like it. It's the most worth buying things I have ever bought. It's amazing after I use it. My face become smooth and not dry, and this feeling last for a whole day.I love it very much and will buy it again. very good. good quality and fast delivery.